The AIF – Access Industry Forum provides a forum for all the principal trade associations and federations involved in work at height. Each organisation represents a different sector of the access industry and is a recognised leader and authority in its respective field. The National Construction College (NCC) is the largest construction training provider in the UK and Europe. IOSH is Europe’s leading body for health and safety professionals. As an independent and not-for-profit organisation, we aim to regulate and steer the profession, maintaining standards and providing impartial, authoritative guidance on health and safety issues. 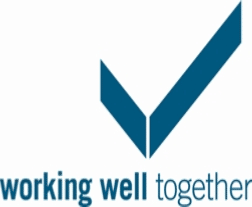 The Working Well Together campaign aims to improve health and safety in the construction industry. There are 16 regional WWT groups providing events which are free or very low cost to attend. These events give hands-on experience ­ with expert speakers from the industry. There is usually a demonstration and exhibition area where you can see the latest equipment and services to help your business. The Scaffold & Access Industry Association is a North American trade association that is represented worldwide ­- the voice of the scaffold & access industry. SAIA’s member companies represent global leaders in scaffold & access: manufacturers, sellers, renters, erectors, users, educators, laborers, safety professionals, attorneys and more. CADS is an Associate Member of the SAIA. 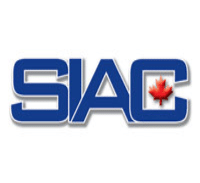 The Scaffold Industry Association of Canada is a non-profit organization that is dedicated to ensuring that professional practices are provided by all members within the Scaffold and Access industry in Canada.The SIAC provides a forum for industry professionals to promote all aspects of business that benefit our members and clients, including safety, training, engineering and involvement in the regulatory process with a portal for marketing and networking in the Scaffold and Access industry. Safety & Access are one of the UK’s top CISRS Scaffolding training and Health and Safety consultancies offering a wide range of support services to many industry sectors. With a proven track record in delivery and customer satisfaction they are also registered to international standards for Health and Safety and Quality assurance. Training 2000 is the North West’s largest and most successful independent work based learning provider of training courses. With a purpose built centre, based in Blackburn, Lancashire. they are a leading provider of Scaffolding & Access Equipment training to the Construction industry, with highly qualified instructors – they are accredited as a CISRS (Construction Industry Scaffolder Record Scheme) training provider. CADS is a world leading developer of software for structural engineers. We have a range of design related software that will support your most demanding scaffolding design requirements, whether it be for load and beam analysis calculations or bending moment diagrams or an entire scaffolding structure. When dealing with CADS you draw on over 30 years of structural engineering and AutoCAD design experience. Friendly calculation pad software for engineers. Design for all popular materials – Steel, Concrete, Masonry, Timber, Composite Beams. Features hundreds of calculation templates. CADS ‘Smart engineer’ is ‘calc-pad’ software for civil & structural engineers who are looking for increased productivity and accurate results for a broad range of design challenges. it features an extensive range of calculation templates covering popular materials such as steel, concrete, masonry and timber. It also features 2D frame analysis and tools for single & multi-span elements, trusses and frames. Smart engineer calculations comply with British Standards and also feature many for eurocodes. they are easy to check with the results presented in a traditional ‘longhand’ calculation style. A3D MAX provides a powerful and flexible Analysis package for 2D or 3D, Elastic/Plastic/P-Delta Analysis and can solve any size job with no limit on the number of members or load combinations. A comprehensive selection of building frame generators and input/editing tools means that members, floors, wall and foundation objects can be created simply and quickly in just a few minutes. Structural elements can be mirrored, copied and pasted easily to speed up modelling and exploit symmetry and repetition. All associated model data i.e. geometry, loading, analysis, design, material quantities, etc. are updated automatically. Provides powerful Panel Objects to assist with modelling floors, vertical walls and inclined surfaces such as a roof. Panel objects can have 2-way or 1-way spanning, solid or ribbed properties. Provides integrated BS5950-1:2000 design and checking for beams, columns, composite beams and connections. Elements can be designed in groups so that a single section is allocated based upon the critical member within that group. Completed designs may be detailed automatically in AutoCAD via links to CADS SW (2D), AdvanceSteel (3D) or via DXF to plain AutoCAD or AutoCAD LT. Links to CADS powerful design modules to produce practical bar arrangements in beams, columns, slabs, bases & pilecaps. Completed designs can be detailed & scheduled in seconds via a link to CADS RC detailing software or in basic AutoCAD or AutoCAD LT via DXF. CADS SW Member Designer is a program which prepares calculations for the strength, stability and stiffness of steel members to the requirements of BS 5950 Part 1 2000. Engineers specify what they consider to be a suitable section for the software to check or run the `Automatic Design´ mode to see a list of suitable section types that meet the BS 5950 requirements under the specified loading conditions. This application may be used entirely `stand-alone´ to design individual steel members or used in conjunction with CADS Analyse3D frame analysis software to design an entire building frame. Defining the Member Properties – when running CADS SWMD `stand-alone´ the user first selects a section from the internal section library or runs the `Auto-Design´ to see a selection of suitable sections for the specified conditions. If CADS SWMD is run in conjunction with frame analysis software, then the section properties are imported automatically. The program allows for all permutations of tapered members and those with two, three or four flange haunches. The section properties for positions in the non-uniform parts of haunched and tapered members are calculated by the program during it´s execution. Supports & Lateral Restraints – the support conditions are defined, and lateral restraints may be applied at the ends of the member and at intermediate positions along its length to prevent buckling. Options include point restraints (supported beam, purlin or bracing) or distributed/continuous restraint (concrete floor slab, sheeting or decking) and are easily defined via an easy to use Windows dialog box. Designing the steelwork section – CADS SWMD divides steel members into potential lateral buckling lengths and provides default values for the effective length factors based upon an interpretation of tables 9 and 10. However, these values may be marked as being subject to de-stabilising loads or edited by the user to accommodate any special conditions or interpretations. Members are checked for lateral buckling according to BS 5950 section 4, and for torsional buckling to Appendix G of BS 5950 Part 1. `Stand-alone´ operation – designers using CADS SWMD in `stand-alone´ mode may create several combinations of uniform, distributed, point and/or moment load types and the software will perform its own analysis to calculate their effects. For ease of use some or all of the loads may be configured to appear on the main screen display. On-screen design results – once the calculations have been completed the results summary reports the most critical `utilisation factor´ for local strength capacity, lateral buckling, torsional buckling and deflection. For more detailed results, full calculation results are easily displayed. Alternatively, the graphical results option displays a diagram of the member showing the support conditions and restraints in plan and elevation with diagrams of axial, shear and moment effects. Designs can be refined quickly by simply selecting an alternative section type, size or changing the lateral restraints and/or details of the haunch. Quality print-out – once the design has been fully completed, CADS SWMD provides a comprehensive, user definable `calculation style´ printout suitable for inclusion with other calculations for project QA documentation and submission for Building Regulations check. Scia Engineer Scaffolding is a tool for finite element modelling, analysis and checking of virtually any type of scaffold: from modular systems over frame systems to tube and fitting scaffolds. Tubes and other sections are checked according to EN-codes for steel and aluminium. Specific checks for (steel) tubes and fittings are integrated according to EN 12810-12811, the basis for the UK TG20 guidance. Scia Engineer Scaffolding links to SMART Scaffolder to enable the easy modelling of structures and generation of drawings. Special analysis tools: non-linear functions represent the real behavior of couplers, the friction on the supports can be simulated, the 3D wind load is distributed to the structure and load combinations are generated according to the codes. Second order P-Delta analysis can be performed with pre-deformed geometry resulting of the most critical buckling form. Earthquake analysis is often mandatory, sometimes even including 2nd order effects thanks to a sequential analysis.